The world of technology is continuously evolving and several marvels have arrived since the advent of the internet. Technological progress is directly linked to the growth and evolution of the world economy. However, even with the evolution of digital and communication technologies, several problems related to international trade remain unsolved. One of them is digitalising international transactions. Apart from security concerns, difficulties related to coordination of data among several parties and across borders is a primary hindrance to digitalisation of trade transactions. The emergence and evolution of Blockchain is being seen by many as a potential solution and a game changer. However, questions still abound related to what Blockchain is and what is its potential. It is being viewed by some as a possible game changer and a solution to several problems as well as full of untapped potential. Others see it as a pipe dream or an overhyped technology. Despite this confusion, Blockchain has sparked a lot of excitement and stirred popular passion much more than any technology since the internet. While opinions vary, there is little clarity over its real potential. The first appearance of Blockchain can be traced back to 2008 in the cryptography community among the cryptography experts. It was developed by an unknown group of people working under the alias Satoshi Nakamoto. Its first application was in Bitcoin, the cryptocurrency, as a core component in 2009. However, the two (Bitcoin & Blockchain) must not be confused for each other for they are different. Bitcoin is a cryptocurrency whereas Blockchain is the protocol underlying Bitcoin or the technology behind Bitcoin. In past, the term Bitcoin has been used to refer to both. Bitcoin may have been the first real life application of Blockchain. However, the blockchain technology is a combination of several underlying techniques that have been around for at least forty years. Till 2013, Blockchain and Bitcoin were considered the same. After its use in other cryptocurrencies like Ethereum, the technology started growing popular and came to be widely recognised. Also known as Blockchain 2.0, Ethereum was released in 2015. Ethereum’s main attraction were the smart contracts. Smart Contracts are self executing computer programmes which make it possible to automate processes and payments. 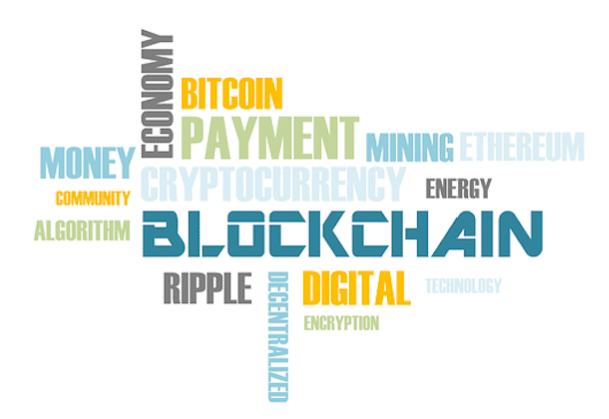 A blockchain is a digital ledger or record of transactions (decentralized and distributed) in which transactions are stored permanently in a tamperproof manner through the use of cryptographic techniques. Blockchains are decentralized in the sense that no single entity controls the network and distributed in the sense that all the participants share the records. Any information added to the blockchain becomes visible to each peer immediately and each of them has a full or nearly complete copy of the data. Any update gets shared with the entire network without anyone needing to trust a third party to play the central role. So, blockchain can ensure higher across the board transparency. However, the emergence of private blockchains has allowed for a greater degree of centralization. Compared to the traditional databases a blockchain is a lot securer and attack resistant. It is because of the use of cryptographic techniques as well as the decentralized and distributed nature of the ledger. It is also easier to track attempted attacks on blockchain due to these features. Another important advantage is traceability. Blockchain technology also allows to trace products and transactions easily. While traditionally, intermediaries have authenticated transactions (like banks), their need is eliminated in case of blockchains. A blockchain is managed by computers or servers on a peer to peer basis. These computers or servers are called nodes. The data once added to the blockchain is shared with all its participants. Individuals with appropriate permissions can verify and validate the data. Moreover, the data entered into the blockchain gets hashed which means it gets converted into a new digital string of fixed length through the use of mathematical functions and then encrypted. Encryption of data ensures data integrity and prevents forgery. Hashing also ensures that the message was created and sent by the right person and did not change during transit. A sender can encrypt the data if he wants to disallow people not having authorized access in the network from viewing or reading it. Post validation, these transactions are stored in blocks. These blocks are chained to each other in a chronological order with the help of encryption techniques. The data, after addition to the blockchain gets time stamped and it is nearly impossible to modify it. Each of the peers in the blockchain keeps a complete copy of the data. Any updates made to the blockchain are shared simultaneously with peers. Since all participants can share and check the ledger, it makes Blockchain a shared and trusted ledger. Unless it is a fully private blockchain, no single entity controls it. So, this eliminates the need for intermediaries and allows people who do not particularly trust each other to collaborate. Due to the large number of nodes, to falsify or compromise the network would require compromising several nodes. This is at least impractical even if not impossible. Blockchains like Bitcoin use a considerable amount of computational power for validating transactions. This is a particular feature of the public blockchains and specifically the ones that use proof of consensus mechanism. The term Blockchain is often used to refer to Distributed Ledgers irrespective of their specific features because of its catchy name. However, Blockchain is just one type of distributed Ledger technology (DLT) that compiles transactions in Blocks which then get chained to each other. However, despite Blockchain being the most tried and tested DLT, new forms are being developed that are based on a variety of cryptographic techniques but do not use Blocks or even chains. Examples include IOTA, Ripple and Hashgraph. In case of IOTA, the transactions are not included in Blocks and each transaction remains linked to previous two for validation, in the form of a tangle. There are several different kinds of Blockchain. They differ in several terms including degree of access, decentralization, speed, privacy, identity of participants, scalability, energy consumption and even consensus mechanism. Blockchains are classified mainly into two categories – Public and Private. However, under the private blockchain there is also a subtype of consortium or federated blockchains. Another common classification is based on the level of access to the blockchain platform. On this basis, Blockchains are classified into Permissioned versus Permissionless platforms. Since the world of Blockchain is evolving at a fast pace, new models will keep coming and new definitions or classifications will also evolve. The main distinction between the Permissioned and Permissionless platforms lies in the level of access to the platform. In case of a Permissionless Blockchain anyone having a computer can access the platform without any restrictions and check and validate the transactions. A permissioned platform on the other hand can have access restricted at various levels depending upon whether it is a public private or consortium platform. Restrictions can apply in terms of reading data, proposing new transactions as well as validating transactions. On the other hand, the public and private differ in terms of platform management and the level of anonymity that the participants can enjoy. The distinction also lies in the degree of decentralization. Public blockchain platforms are not managed by specific entities but the transactions are public and individual users can stay anonymous. Any single user does not have any special privilege or decision making power. Instead of relying on a third party validator such blockchain platforms rely upon user consensus or consensus among the nodes before any data gets stored in the ledger. However, in case of the public blockchain platforms, there must be incentives for users to reach a consensus. For example, in case of Bitcoin verification requires performing complex mathematical problems. The validator or miner who first solves the problem is rewarded with Bitcoins. Most of the public Blockchains are permissionless or open for everyone. Anyone can use the network to send transactions. Any user can read and write relevant data on the blockchain. The blockchain technology initially designed for the Bitcoin is the closest representation of the application of public permissionless Blockchain technology. Some public blockchains can also be permissioned. However, due to their highly decentralized nature, the public permissionless Blockchain platforms are considered highly secure and attack resistant. However, problems related to scalability still remains. One main entity which is trusted by the other users, controls the permission to validate and write data in case of the private blockchains. The participants are not anonymous but identified. In some cases, the controlling entity may restrict the permission to read to few users. While this feature is not found in public blockchains, the restricted read permissions allow higher permission to the private blockchain users. The main entity reserves the power to change the rules and decline transactions on the basis of rules and regulations. Another important advantage of private blockchains is that a restricted number of nodes carry out the transaction verifications. Apart from higher processing power and faster transaction processing as compared to the public Blockchains, this also requires much less computing power. Since the validators are known people any faulty node can be fixed easily. However, the main problem is that because of their centralized nature, they are more susceptible to outside attacks and human tampering of data. These blockchains are partially decentralized. Consortium blockchains are the Private Blockchains that operate under groups instead of one main entity. The participants are not anonymous in this blockchain but identified. Only a few selected and predetermined nodes are allowed to participate in the transaction verification process. No single entity holds full control and not just anyone can participate in the process. The selected nodes control the consensus process and can read and/or write data. They also get to decide who will have access to the blockchain ledger. Right to read ca be either restricted to few participants or public. For example, ten groups operate a consortium block chain. The second group shares its data only with 3rd, 4th and 5th group. So, it might decide to allow reading rights to only these groups. The same applies to companies, banks and government agencies which could use consortium blockchains to leverage the specific features of the distributed ledger technology, improve cooperation and processes among themselves. Since consortium and private blockchains are usually permissioned, .it allows the participating agencies to maintain a certain level of control and privacy. Moreover, corporations are hesitant to put sensitive information on public permissionless blockchains where they can be accessed by anyone. It is why the consortium permissioned blockchains find wider use in the field of international trade. However, some consortium blockchains can be open to anyone or have a public interface through which anyone can read the data. While these classifications are based on the main features of the main types of blockchains, there are several blockchain variants. Their actual design depends on the objective they are meant to fulfil and the level of decentralization and privacy desired of them. Many see Blockchain as a potential game changer and several also think it is just hype. However, even if Blockchain is not a solution to every problem, it has numerous applications in areas like international trade, finance, insurance, supply chain and even healthcare. The technology can help increase efficiency of processes as well as reduce costs and bring higher transparency. International trade is a particularly paper intensive area involving several things like trade finance, customs clearance, logistics, and transportation. There are several actors involved in the entire process. Blockchain can help improve the efficiency of these processes and make trade paperless. The technology could possibly change the game by digitalizing and automating trade. Apart from a large number of Banks that are working on the potential of Blockchain in the area of financial technology, there are IT companies and startups also working on its potential in areas like supply chain and logistics management. Block chain and smart contracts could help carry out cross border procedures in a more transparent, efficient and securer manner. However, to make Blockchain work to its full potential, there is a need to digitalize all aspects of international trade transactions including customs, logistics and trade finance. Transportation and logistics sector especially is working on leveraging Blockchain to connect all the players involved in the supply chain. Apart from Blockchain’s applications in trade finance, several companies and startups are working on applying blockchain into cross border transactions for easier, quicker and cheaper payments. This might create pressures on the established financial institutions which might be forced to rethink over their business model. Even if the application of Blockchain does not lead to a complete overhaul of the financial sector, it could still strengthen it a lot by increasing efficiency and reducing costs. Insurance is also an area where the impact of Blockchains could be significant. Automation using smart contracts could help reduce administrative processes as well as their costs, handle claims with much more ease and even administer multinational contracts. There are several pain points across the entire insurance value chain and Blockchain could help resolve such issues. Some of the major pain points in the insurance value chain include Inefficient exchange of information, limited underwriting accuracy, high chances of fraud, need for middlemen, fragmented sources of data and manual processing of claims. New business models and insurance processes based on the Blockchain will challenge the orthodox business models. Moreover, the blockchain technology can help reduce costs, improve risks assessment and enhance client onboarding within underwriting. Advantages in the area of underwriting range from efficient information exchange and better risk profiling to automation through smart policy. Even in the claims submission process, the blockchain technology can have several advantages ranging from simplified and automated claim submissions to reduced fraud loss and automated compliance as well as better customer experience and no need for manual inspection. Blockchain powered smart contracts could help both the customers and insurers manage claims more transparently. Blockchain has also started making its presence felt in the e-commerce world. Even if blockchain does not completely disrupt the world of e-commerce it does have the potential to give it a string boost ad affect the existing business models. Ecommerce world is being monopolized by a few key players. Several of the latest regulatory changes including the GDPR are going to have a definite impact on the e-commerce players. The need for transparency is growing. While Blockchains would on the one hand drive efficiency and reduce costs, they can also bring higher transparency related to prices, origins of the product and sustainability. This will also mean higher control in the hands of the customers. Blockchain can also help manage Intellectual Property (IP) rights with higher efficiency and transparency. So, blockchains also offer a powerful solution against counterfeits. A larger number of companies are looking at how Blockchain could be utilized to improve the enforcement of IP rights across various jurisdictions. While there are several applications of blockchain in the field of IP, it could impact both the governance of IP rights as well as the entire IP industry. Blockchains could be used for administering and managing IP rights globally. They could also be used for providing proof of creation, existence and ownership. In this way, they could be used for the creation of a global IP chain and for enforcing IP rights and fighting counterfeits with higher efficiency. Even if the blockchains cannot complete disrupt the IP industry, they do have the potential to resolve several challenges that content creators and right holders face. Beyond these things, Blockchain also has the potential to help with procurement processes and efficient management of public contracts as well as combatting fraud. However, there are some hindrances including costs and scalability. Because of its applications, Blockchain can also create cross cutting opportunities. Inside the supply chain, it can help at managing transparency and building trust. Apart from startups, well-known companies like IBM are also developing blockchains for supply chain and logistics. The importance of transparency in the food industry has also grown a lot. Customers want to know how their food was sourced and from where. Companies are turning to Blockchain to manage transparency in the food chain. In terms of international trade as well, blockchains could be a great tool for facilitating the participation of Micro, Small, and medium size enterprises. However, this will also require that the small producers internationally have access to the internet and all the right skills required for using blockchain platforms. There are other challenges too in the way of large-scale implementation of Blockchains. The predetermined sizes of blocks and energy consumption issues have led to limited scalability of Blockchains. However, this is a challenge mainly for the public blockchains and not for the consortium permissioned blockchains. The scalability of consortium blockchains is higher. The energy consumption issue is also a problem for the permissionless blockchains and not of permissioned. The development of new algorithms which are not based on the concept of blocks and are less energy intensive as well as faster leading to higher scalability will also solve this challenge. Security issues also pose a potential long-term technical challenge related to large scale implementation of blockchains. Though blockchains are stronger and smarter compared to traditional databases and relatively more impervious to outside attacks, they are not absolutely immune to the traditional security challenges. Moreover, in the longer term with technological advancement and particularly the rise of quantum computing, threat to blockchain technologies could grow. Interoperability of Blockchains at the technical level as well as the semantics level is also a key technical challenge. Numerous platforms that use varying technical interfaces and algorithms that are not interoperable are being developed. IBM uses Hyperledger fabric whereas Microsoft has its blockchain offerings built on Ethereum. The lack of interoperability of various platforms is giving rise to the digital island problem. Blockchain communities are actively seeking solutions to the digital island problem. Some solutions have emerged but they are not completely mature. Legal issues are also a major challenge to the deployment of blockchains on a large scale. There is the need for a conducive legal framework recognizing the validity of blockchain transactions. There should be clarity over which laws and regulations apply to blockchains, what kind of liabilities can arise and how data should be accessed or managed. Legal status of the blockchain transactions is in itself the most critical issue. Blockchain undoubtedly holds immense potential. Whether it is in the supply chain or e-commerce, finance and healthcare, both transparency and security are important challenges. These challenges can best be handled through the use of blockchain technology. Blockchain has the potential to increase efficiency as well as reduce costs. However, there are several challenges to the deployment of blockchain on a large and global scale. On the one hand, there are scalability challenges and on the other interoperability and the legal challenges. Despite these challenges and issues a number of startups and well-established companies have started investing in blockchain. The reason is blockchain’s potential to transform industries and give them the much-needed boost in terms of cost reduction and increased efficiency. However, to proceed with its large-scale deployment, a conducive legal environment will be required apart from bridging the technology and skills gap.